It has been reported that the building known as 3 Main Street, Dundas was built in 1875 by B.B. Osler. Valley Lodge moved into the building in late 1875, early 1876 as tenants, into the Second Floor. The first floor was occupied by the Desjardin Canal Office. Henry F. Powell purchased the building from B.B. Osler in 1886. In 1945, Valley Lodge purchased the building from Powell & Co. for $10000.00. In 1953 the mortgage was burned and Valley Lodge has owned and occupied the building ever since. The Building also housed Hiram Lodge No. 317 until they amalgamated with Valley Lodge. 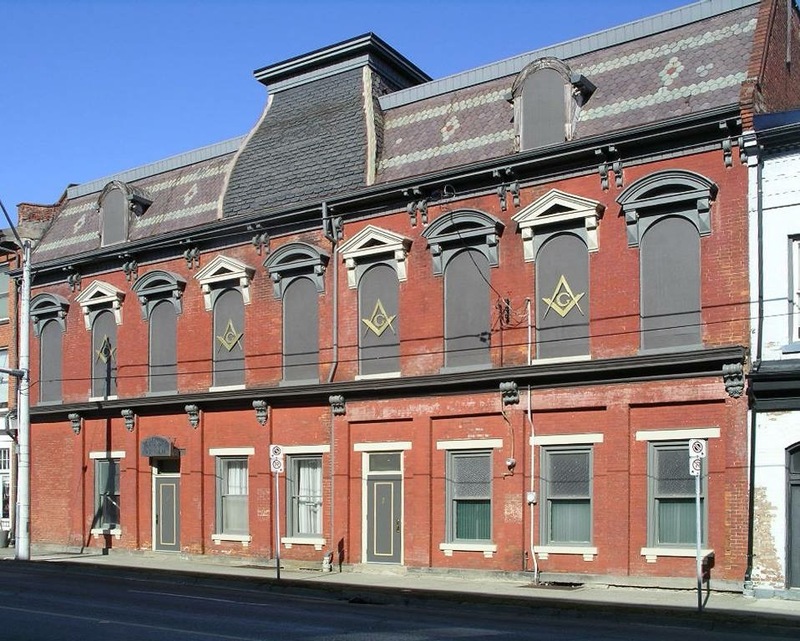 After the fire in 1968 of the Central Masonic Temple on James Street in Hamilton the building housed the "Fire Tenants" namely Acacia No. 61, Hamilton No. 562, St Andrews No. 593, St. John's No. 40, Temple No. 324, Strict Observance No. 27 and Hugh Murray No. 602. Meridian Lodge No. 687 was also a tenant in the building. After the "Fire Tenants" moved Valley Lodge was forced to rent out the Banquet room to a commercial tenant, Dundas Valley Antiques, in order produce income for the upkeep of the building. After many years of saving and building up a Capital fund, Valley Lodge was finally able to reclaim the Banquet room for it's own use after the tenant moved. The Banquet room has been revitalised in order to preserve some of it's original beauty and appropriately all this was accomplished for the 150th Anniversary in June 2008.